Next time it rains, head outside and take a look at the route stormwater runoff takes onto and through your property. Does the water come off the street, driveways, your roof, downspouts? Does it go directly into a storm drain, an open drainage ditch, the neighbor’s yard? Maybe it sheets across your lawn or cuts channels down your slopes. 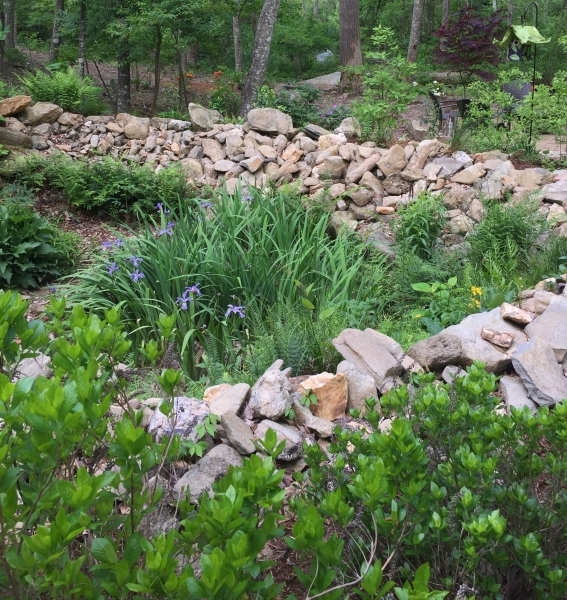 If it comes to rest in a low-lying area, leaving you with an unwanted “pond” and a soggy landscape, your yard could be a good candidate for a rain garden! 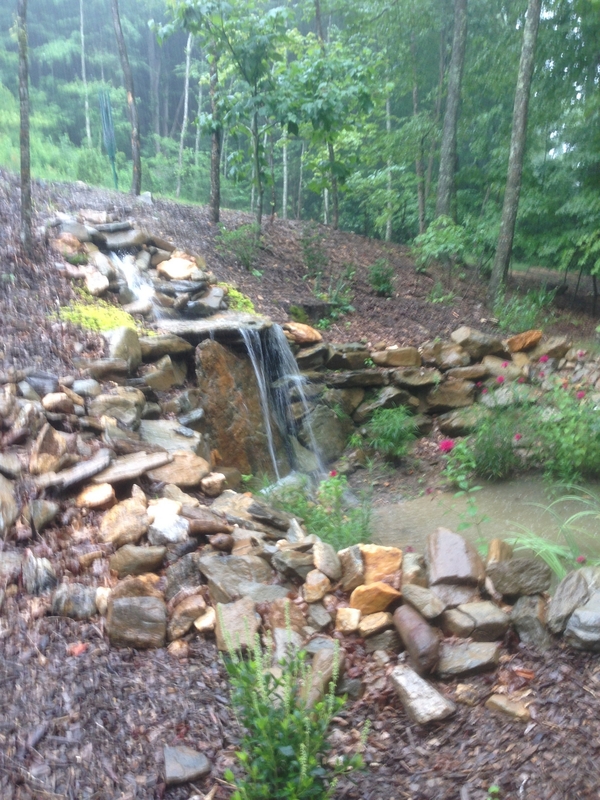 Rain garden in residential landscape absorbs stormwater from street, driveway, and roof downspouts. 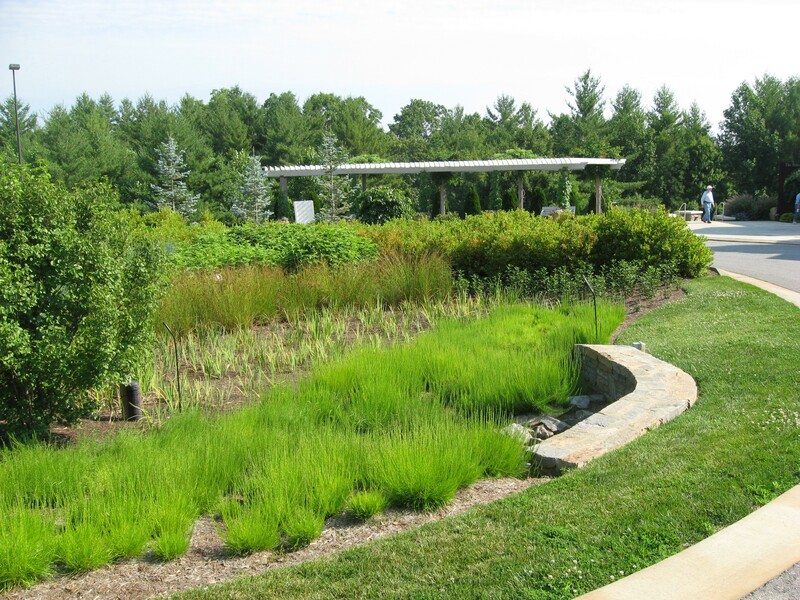 Rain gardens are shallow depressions planted with deep-rooted native plants and grasses that are especially effective for residential use. Even very small areas can absorb as much as 30 to 40% more runoff than a standard lawn. 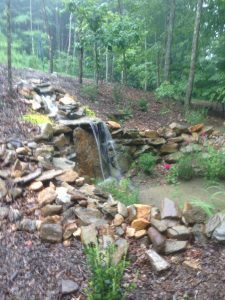 While rain gardens won’t solve all stormwater runoff and erosion problems, they serve many beneficial purposes when properly constructed and positioned. 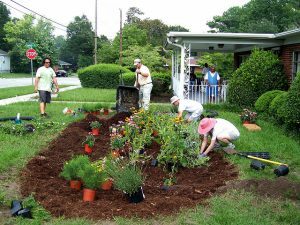 The primary reasons for rain gardens are diverting water away from your house and handling standing water in the landscape. When well-designed, a rain garden creates a lovely, interesting focal point in your garden! Will my rain garden become a pond? Wet ponds are constructed basins on large drainage sites that have permanent pools of water, at least through the wet season. They are complex ecosystems that hold and treat rainwater before it flows downstream. Dry ponds—usually constructed of concrete or rock beds—immediately remove concentrations of rainwater from an area. Rain gardens slow down stormwater runoff and hold it for a short period of time—no more than 24 to 48 hours. Water collected in a rain garden usually seeps into the ground within an hour or two. 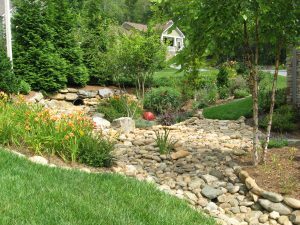 Therefore, a rain garden should not contain any permanent pools of water. A word about mosquitoes. They won’t find rain gardens to be good breeding areas. It takes mosquitos 10 to 14 days to go from egg to adult, and any water standing in the rain garden is long gone before then! You’ll also have to decide what plants to use. 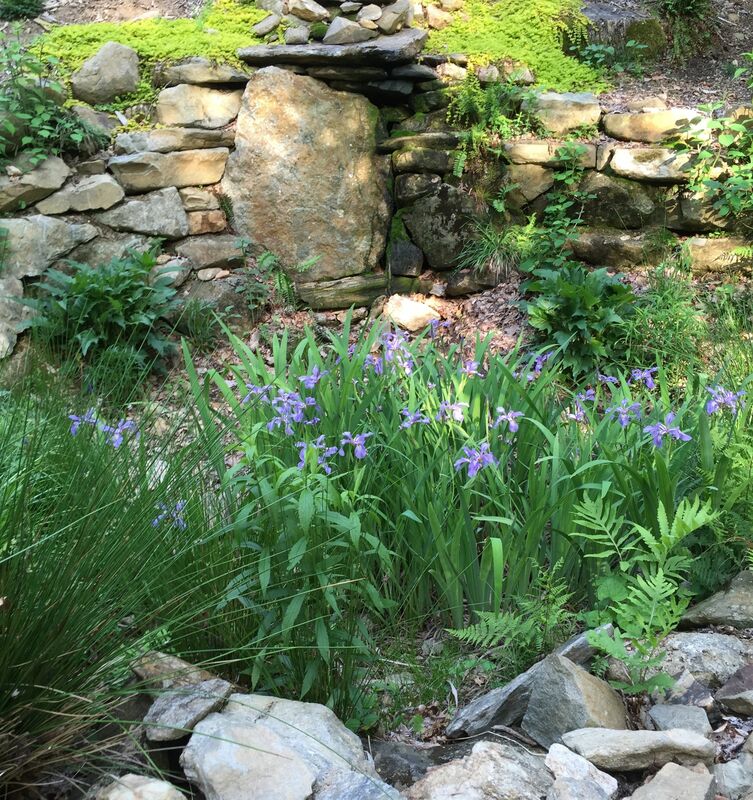 A combination of trees, shrubs, grasses, and flowering perennials will produce the most aesthetic appeal, but some plants may need to handle both wet and dry conditions. Others may need to tolerate different levels of water—both amount or volume—and force or velocity. 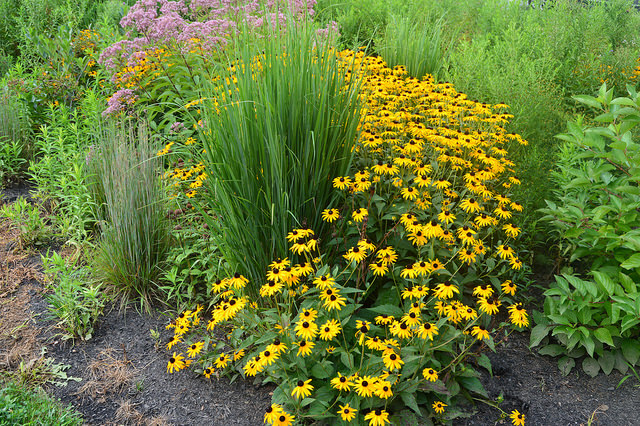 The winter months are a good time to plan and get started constructing your rain garden. 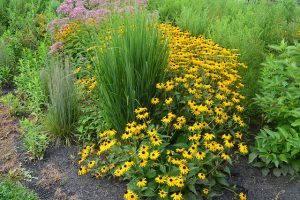 To learn how, watch for these blogs over the next several days: building a rain garden, planting a rain garden, and maintaining a rain garden.